It starts with relationships. We at the Law Office of Amy L. Gervich believe that understanding our clients' needs and goals is our most important job. We listen. We strive to become trusted advisers and strong advocates for our clients. Then, there is our depth of experience. 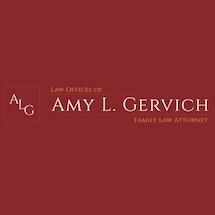 As a general practice law firm, the Law Office of Amy L. Gervich has strong capabilities in most legal disciplines and a total dedication to client service. Trust the professionals of the Law Office of Amy L. Gervich, in Clayton, Missouri, to provide expert legal services and knowledgeable legal advice in distressing personal situations. We are a St. Louis-based multi-service law firm made up of a group of attorneys licensed in Illinois, Missouri and Kansas, with expertise in a variety of areas of the law. Our diverse backgrounds allow us to complement each other and to provide the legal services that fit our clients' needs. Our firm provides legal services including estate planning, criminal defense, personal injury, business and family law in the metropolitan St. Louis area. So whether you need an excellent personal injury lawyer or have serious traffic violations, call us because we are here to help 24 hours a day. Our firm stands ready to help with any legal needs, with consideration given both the emotional and to the financial aspects of your situation. When you call us, expect to receive great service from the best legal minds with affordable prices. Visit our law office, which is conveniently located next to the courthouse.